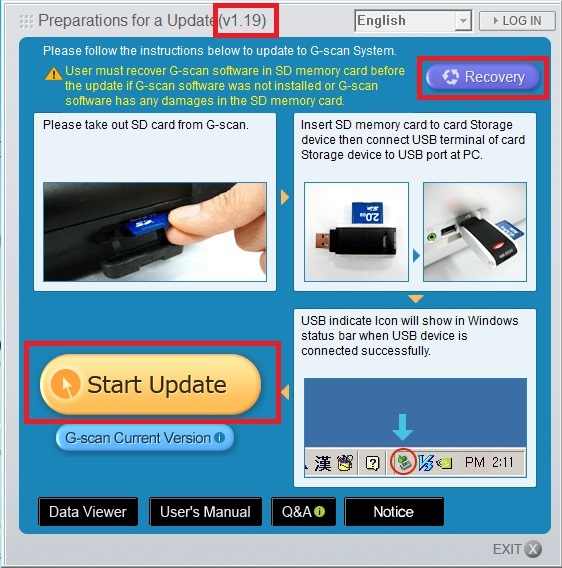 You can update SD card for G-scan by PC Utility. Run PC Utility(Hyundai:E-H-1000/ Kia: E-K-1000, V1.19). If you dont't have PC Utiliy, E-H-1000/E-K-1000, download the attachment file(PC_Utility_HME.zip). I was getting the message,"SD card is not recognized on G-scan"